Amal Clooney (née Alamuddin) is a Lebanese-British barrister, human rights activist, and philanthropist. Her accomplishments in human rights and international law have earned her international recognition as well as high-profile clients, including WikiLeaks founder Julian Assange in his fight against extradition. She has represented several nation-states, including the state of Cambodia, the former Libyan intelligence chief Abdallah Al Senussi, Yulia Tymoshenk. Amal Clooney was born on February 3, 1978, in Beirut, Lebanon. Her ancestry is Druze, Lebanese. Amal attended the girls’ grammar school, Dr. Challoner’s High School in Little Chalfont, Buckinghamshire. She then enrolled at St. Hugh’s College, Oxford. Amal where she received an Exhibition scholarship and a Shrigley Award. She graduated with a Bachelor of Arts in Jurisprudence (Oxford’s equivalent to the LLB) in 2000. In 2001, Amal was admitted to the New York University School of Law where she studied LLM degree. She received the Jack J. Katz Memorial Award for excellence in entertainment law. Amal Clooney began dating actor George Clooney after they first met at a charity event in September 2014. They got engaged on 28 April 2014 and subsequently obtained marriage licenses in the Royal Borough of Kensington and Chelsea in London on 7 August 2014. The couple married on 27 September 2014 in Venice’s city hall (at Ca’ Farsetti) followed by a lavish wedding ceremony. Together, they have a son and a daughter (twins), named Alexander Clooney and Ella Clooney, born on 6 June 2017, respectively. 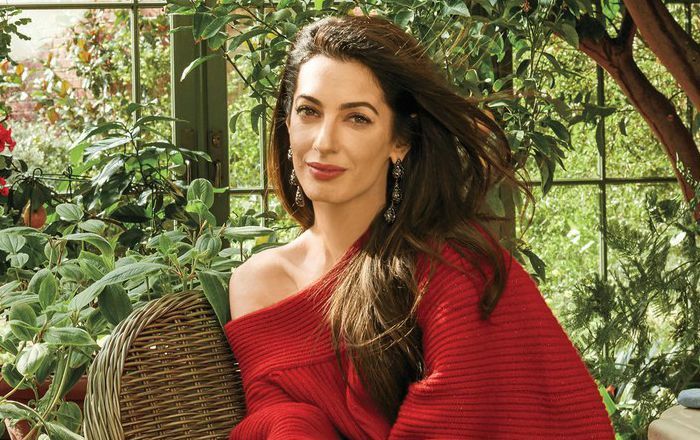 An Alumna of New York University School of Law, and while at NYU, Amal worked clerkships in both the International Court of Justice and United States Court of Appeals. For one semester, she worked as a student law clerk in the offices of Sonia Sotomayor, who is today a U.S. Supreme Court Justice. She is a qualified lawyer in the United States and the United Kingdom. She was admitted to the Bar in New York in 2002 and in England & Wales in 2010. She has also practiced at international courts in The Hague including the International Court of Justice and the International Criminal Court. Clooney has been involved in high-profile cases representing the state of Cambodia, the former Libyan intelligence chief Abdallah Al Senussi, Yulia Tymoshenko, and Julian Assange, and was an adviser to the King of Bahrain in connection with the Bahrain Independent Commission of Inquiry headed by Professor M. Cherif Bassiouni. In 2013, she guest appeared in TV news show Access Hollywood as herself (lawyer) in an episode dated June 13, 2013. Being the British attorney. Having worked for high-profile clients including Arthur Anderson, Julian Assange, and Enron. She has a total net worth of $10 million US dollars. Her family moved to Gerrards Cross, Buckinghamshire during the 1980s Civil War, when she was two years old. After graduation, Amal worked at Sullivan & Cromwell in New York City for three years in Criminal Defense and Investigations Group, where she represented high-profile clients, including Enron and Arthur Andersen. In 2010, she returned to England and became a barrister in London at Doughty Street Chambers. Clooney has worked as a visiting faculty member and lectured students on international criminal law at the Law School of the School of Oriental and African Studies, University of London, The New School in New York City, The Hague Academy of International Law, and the University of North Carolina at Chapel Hill. On 25 February 2014, the Office of the UK Attorney General appointed Clooney for the period 2014 to 2019 to the C Panel of the Public International Law Panel of Counsel. Clooney was chosen as Barbara Walters’ Most Fascinating Person of 2015. Amal’s wedding dress was designed by New York-based designer Oscar de la Renta. mal Clooney is fluent in English, French and conversational Arabic. Clooney is the president of the Clooney Foundation for Justice, which she co-founded with her husband George Clooney in late 2016 to advance justice in courtrooms, communities, and classrooms around the world. Clooney formed the Amal Clooney Scholarship, which was created to send one female student from Lebanon to the United World College Dilijan each year, to enroll in a two-year international baccalaureate programme. Amal has co-authored the book “The Law and Practice of the Special Tribunal for Lebanon”, published in 2013 by the Oxford University Press.